Dash Drains is a full-service plumbing and drain cleaning company based out of Beverly, Massachusetts. We are proud to serve a wide area of Massachusetts, including the city of Waltham. Check out a few of the numerous plumbing services we offer to Waltham and the surrounding areas below. 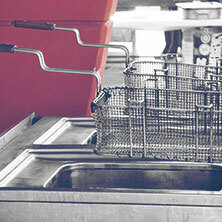 Grease Trap Cleaning Service: Restaurant owners can breathe easy knowing Dash Drains provides commercial grease trap cleaning services in Waltham and the surrounding areas to keep your grease trap free of hardened on gunk. 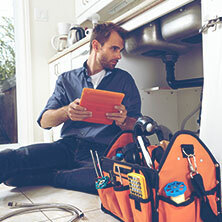 Drain Inspection Camera: Being able to get a look inside of your pipes can help us diagnose problems, assess the state of your pipes, and even find lost items. Our drain inspection camera services in Waltham can also be used to inspect the plumbing of a home before you buy it. Drain Cleaning, Snaking, and Water Jetting: Whether you have a slow drain or a drain that is completely blocked, we can clear it out. We can perform traditional drain snaking or blast out a clog and sludge with a high-pressure water jetting. Both of these options effectively remove clogs without pouring corrosive chemicals down the drain. Septic Tank Cleaning: Septic tanks typically work really well… until they don’t. If a septic tank gets too full, it can back up into your home, creating a nasty (and expensive) mess. While most septic tanks need to only be pumped every three to five years, having a yearly septic tank inspection in Waltham can give you a better idea of the level of waste in the tank. Pipe Location Service: Residential and commercial property owners need to know the location of underground pipes before breaking ground on a construction or landscaping project. Our underground plumbing location service can find the depth and location of both metal and non-metal pipes. Preventative Maintenance: If you need general plumbing services or preventative maintenance, Dash Drain’s has you covered! As your Waltham plumbers, we can fix leaking faucets, unblock slow drains, drain your water heater, and perform other tasks to keep your plumbing in top shape and catch potential problems early. Emergency Services: If you are in need of an emergency plumber in Waltham, MA, we’ll be there day or night! Just give us a call at (978) 922-3274 at any time. 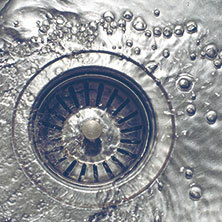 Need Drain Services In Waltham? Give Us A Call! Dash Drains has nearly two decades of hands-on experience. 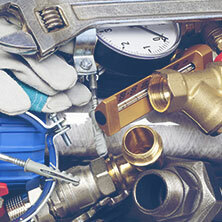 We have a huge arsenal of custom-made equipment to handle just about anything your plumbing can throw at us. If you are looking for professional residential and commercial plumbing services in Waltham, give us a call today!